Description: 1268th--Golden statue ransack is an interesting point and click type new escape game developed by ENA games for free. Dream up a situation that is a golden statue kept in high protection. As you have heard of its price, you wish to steal it from the place where it is kept. But it will not be that much easier. This could be possible only if you have determination to find it and use your intelligence to ransack the golden statue. 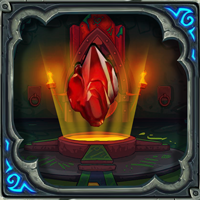 It is sure that you will succeed by finding the necessary objects and solving the puzzles. Have greater excitement and fun by playing escape games daily. Good Luck and Best wishes from escape games.